Naylah Ahmed has written for stage, radio, screen and publication. She has had a few plays produced for BBC Radio 4 and her short stories have been published by Tindal Street Press. Her most recent stage play was Mustafa, co-produced by The Birmingham Repertory Theatre and Kali Theatre Company. Her play, Butcher Boys, was one of four joint winners of the Bruntwood Playwriting Prize in 2008. Naylah worked as a script developer, script editor and producer of radio drama at the BBC from 2002-2012. She is currently exploring children’s writing both for screen and the page. Adalat Ali is a politician, writer, analyst and university lecturer. Originally from Mirpur, ‘Azad’ Kashmir, Adalat Ali migrated to UK in the 1970s and began his life in the UK as a textile labourer. He found a way through community activities to public sector employment and higher education, and on the way he became actively involved in Kashmiri politics. One of the pioneers of Pahari-Pothwari writing in Britain, Ali Adalat is the coordinator of Kashmir National Identity Camoaign (KNIC) coeditor of ‘CHITKA’ Magazine and founder of Alami Pahari, Adabi Snagat (APAS) in Britain. He has been actively involved in setting up of earliest Kashmiri satellite TV channels in UK, Appan and KBC. Adalat has written scores of papers and articles on various aspects of Kashmiri politics and diaspora Kashmiris. He authored and produced the pioneering Pahari films ‘Mehndi Laan De’ a musical and ‘Lakeer’ (Line of Division) a feature film that is showing in Jammu and Poonch Theatres now. Currently he teaches politics and democracy at Manchester Metropolitan University Manchester. Basir Kazmi, born in Pakistan (1953), studied and taught English at the Government College Lahore. He edited Ravi (1974) and was the office bearer of the college literary and dramatic societies. He did his M.Ed (1991) and M.Phil (2000) at Manchester University, and PGCE in English (1995). He was the news editor/reader for the BBC’s Asian Programme (1990-91) and a Literature Adviser to the North West Arts Board (1993-1996). He conducted poetry and drama workshops all over the UK and has read widely in Britain, Pakistan, India, Middle East, Europe and USA. Basir has taught at a few high schools, colleges and a university (Bradford) in the UK. Basir’s collections of Urdu poetry, Mauj-e- Khayaal (1997) and Chaman Koi Bhi Ho (2008), a long play Bisaat (1987) and Bisaat’s translation of The Chess Board (1997) have been published. English translations of Basir’s poems have appeared in several magazines and anthologies. Basir has also written extensively on the life and poetry of his father Nasir Kazmi (1925-1972), a famous Urdu poet. Amarjit Chandan lives and works in London. He has published five collections of poetry, and two books of essays in Punjabi including Jarhan (Poetry), Phailsufian and Nishani (Essays). Two of his books are also published in Farsi script from Lahore, West Punjab. Amarjit has edited and translated over thirty anthologies of poetry, fiction and creative non-fiction by, among others, Brecht, Neruda, Ritsos, Hikmet, Vallejo, Cardenal and John Berger in Punjabi. Chandan was one of the ten British poets selected by Andrew Motion, the Poet Laureate, for the National Poetry Day in 2001, and participated in the International Alderburgh Poetry Festival. Amarjit received the Lifetime Achievement Award in 2004 from the Language Department, Government of the Punjab, India; and the Lifetime Achievement Award in 2006 from the Panjabis in Britain, All-Party Parliamentary Group, London. Selma Dabbagh is a British-Palestinian writer of fiction. Her first novel, Out of It, set between Gaza, London and the Gulf, published by Bloomsbury in 2011 was a Guardian Book of the Year. She has published short stories with Granta and Telegram, and written a play set in East Jerusalem, The Brick, produced by BBC Radio 4 in January 2014. Fadia Faqir is the author of three novels: Nisanit, Pillars of Salt, My Name is Salma (U.S.A. title The Cry of the Dove) and Willow Trees Don’t Weep. She was born in Amman, Jordan, and moved to Britain in 1984. Her work has been published in nineteen countries and translated into fifteen languages. In 1989, the University of East Anglia awarded her the first Ph.D. in Critical and Creative Writing. She currently holds a writing fellowship at St Aidan’s College, Durham University, where she teaches creative writing. She often writes on issues of gender, identity, and culture. She divides her time between Durham, London and Amman. Ashish Ghadiali trained in Film Production at NYU, has worked as a screenwriter for producers including Shekhar Kapur, Mukesh Bhatt and Josef Aichholzer, was once the Director of the Freedom Theatre Film Unit in Jenin Refugee Camp, Palestine, and once the Guest Editor of Red Pepper Magazine. Over the years he has also won some awards. He is an active member of the Kramblers walking assocation. Raj Kumar Hans was born in a Punjabi village and graduated from Guru Nanak Dev University in 1977. For doctoral studies he moved to the Maharaja Sayajirao University of Baroda where he has been teaching history since 1983. He shifted his field of research from economic to social and cultural history. Taking a comparative view of the regional cultural formations of the Indic civilization, he has been studying Gujarat and Punjab. For the last few years he has focused his attention on the study of Sikhism and Punjabi Dalit literature. His articles and papers on Gujarat and Punjab history have been published in journals and edited books. He was awarded a Fellowship at the Indian Institute of Advanced Study, Shimla (2009-11) to write his monograph on a history of Punjabi Dalit literature which is now being finalised for press. Currently he is working on history of Dalits in the Sikh religion. Peter Kalu is a Manchester based novelist, playwright and poet. He started writing as a member of the Moss Side Write black writers workshop and has had five novels, two film scripts and three theatre plays produced to date His work has been widely published, performed and displayed within the UK. Prizes he has won include the BBC Young Playwrights Award, Liverpool Kodak Film Pitch Award, Leicester University Radio Play Commission, The Voice/Jamaica Information Service Marcus Garvey Scholarship Award and the Contact/BBC Dangerous Comedy Prize for his play, Pants. 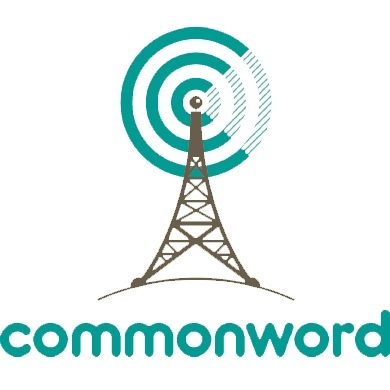 Peter Kalu is Commonword/ Cultureword’s Artistic Director. Jennifer Nansubuga Makumbi is a Ugandan writer of fiction. She completed a PhD in Creative Writing at Lancaster University where she also teaches as an Associate Lecturer. Her novel Kintu won the Kwani Manuscript Project 2013 and was published in 2014. Her short story Let’s Tell This Story Properly was both the African Regional and overall winner of The Commonwealth Short Story Prize 2014. Tariq Mehmood is an award winning writer and filmmaker. Hand On The Sun was published by Penguin, 1983. His second novel While There Is Light was published by Comma/Carcanet, 2003. He won the Francis Lincoln Diversity in Children’s Literature Award for Unpublished Novels for You’re Not Proper. He is co-director of the award-winning documentary film Injustice (www.injusticefilm.co.uk) which dealt with deaths in British police custody and which the police tried to suppress. He is currently teaching at the American University of Beirut. Anita Mir is an academic and writer. Her PhD was from Exeter, and she has taught at the universities of Essex, Exeter, Birkbeck, University of London and LUMS in Pakistan. In September she begins teaching at Fordham, an American university in the UK. Her work is on mystical poetry and on political Islam. She writes plays and has had two shorts on (The Space and Soho) and rehearsed readings of several plays: RADA, Rich Mix, King’s College and Southwark Playhouse. These are under consideration with theatre companies. Dalia Mostafa is Lecturer in Arabic and Comparative Literature at the Department of Middle Eastern Studies, the University of Manchester. She has published in both English and Arabic on the contemporary Arabic novel, Arab cinema, and popular culture in Egypt. Her current research focuses on the cultural elements of the 25th January 2011 Egyptian Revolution such as literature, cinema, and song. She is currently editing a special issue entitled ‘Women, Culture, and the 2011 Egyptian Revolution’, which will appear in the Journal for Cultural Research in 2015. Shams Rehman, born in Morra Loharaan, Akalgarh in Mirpur is a Kashmiri author, activist and presenter residing in Oldham, UK. Shams gained Honours and MA in Sociology from Karachi University. He migrated to Britain in 1988 and completed an MA (Econ) in Development Studies and MSc Sociological Research at University of Manchester. Shams is a founding member of Karvan-e-Adab, a British Asian Literary Forum, Chitka, Soochan/Kashmir Insight, Kashmir National Identity Campaign & Association of British Kashmiris, Appna Des Channel, KBC Channel. He has written many articles in Pahari (Mirpuri), Urdu and English on various aspects of Kashmir and Kashmiris. Humaira Saeed is Lecturer in English at Nottingham Trent University. Her current research addresses how the gendered trauma of the Partition of India has lasting ramifications for the ways in which Pakistan and Pakistani identities are narrativised in cultural texts. She has published articles on the Partition of India and Pakistani fiction and film, and co-edited a special issue of Women: A Cultural Review on Transnational Feminisms. She maintains a scholarly and activist interest in the ways in which queer modes of belonging become asserted through racialised attachments to the nation state. Ayesha Siddiqi is a PhD candidate in Comparative Literature at the University College of London. Her research examines the post-9/11 Pakistani novel in English through the lens of trauma theory. The three writers of her focus are Nadeem Aslam, Kamila Shamsie, and Mohsin Hamid. Ayesha did her MA in Critical Theory at Sussex University, where she focused on the writings of Thomas Hardy and E.M. Forster. She is also interested in psychoanalytic literary criticism and deconstruction. Outside of the PhD, she writes fiction and plays. Nicole Thiara (PhD Manchester) has been Lecturer in English at Nottingham Trent University since 2013. She is author of the monograph Salman Rushdie and Indian Historiography: Writing the Nation Into Being (Palgrave Macmillan, 2009) and has published articles on Rushdie in the Journal of Commonwealth Literature, the Journal of Commonwealth and Postcolonial Studies and contributed to Critical Insights: Salman Rushdie, edited by Bernard Rodgers (Salem Press, 2012). She is currently working on a project on the representation of Dalits in Indian Literature and film. She is also the principal investigator of the AHRC funded research network ‘Writing, Analysing, Translating Dalit Literature’ (2014-16). An international conference ‘Contemporary Approaches to the Analysis of Dalit Literature’ at Nottingham Trent and a symposium on Dalit Literature at Leicester University in June 2014, were the first events of the research network series. Yusra Warsama is a performance poet, actor, writer and theatre practitioner, her passions lie in creating work through play and exploration of life experiences in world we live in. Past, present and future work takes many forms, from her developing a one woman show which uses spoken word, storytelling, live art and physical expression, to ‘Grace’ (05) and ‘Make – Believe’ (09) with Quarantine, which looks at exploring theatre without focus on characters but the one to one relationship between performer and audience. Yusra began her theatre career at The Contact Theatre, Manchester, whilst studying (BA HONS) Criminology & Sociology, from there she worked alongside national and international artists and companies such as Morganics, Sista Native, Lemn Sissay, Victoria- Belgium, Afro-Reggae -Brazil. Major collaborative work includes Don Lett’s ‘Speakers Corner’ this was a spoken word theatre piece alongside artists such as rapper Skinnyman and Mad Flow, to commemorate the abolition of slavery. Yusra is currently writing a play for the Birmingham Repertory Theatre with two other writers, and filming her first international feature.